Real Madrid head coach Santiago Solari said on Friday that the Spanish powerhouse intends to win the 2018 Club World Cup to add another chapter of success to their history full of trophies. 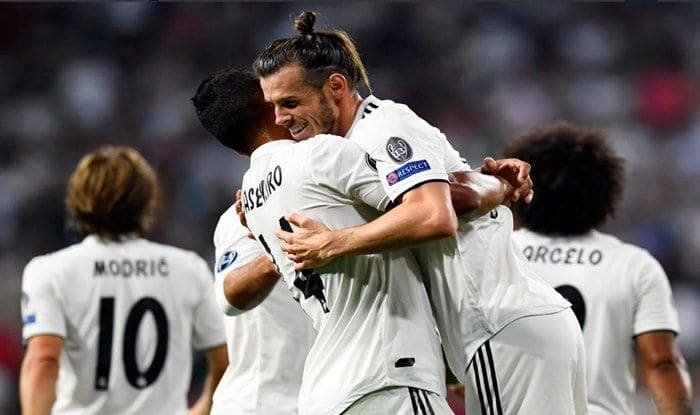 Real Madrid is set to meet Al-Ain on their home turf for the tournament’s final match to be held at Zayed Sports City Stadium in the United Arab Emirates capital of Abu Dhabi on Saturday, reports Efe. “You cannot rest on your trophies, but you cannot forget them, and tomorrow we will try to take another step in history,” Solari said at a press conference on the eve of the highly anticipated duel. The Argentine coach added that because Madrid has regularly won titles, the team has not been valued fairly for what it has achieved. Solari referred to the fact that Real Madrid is the three-time UEFA Champions League defending champion, having won it four times in the last five years, while a third consecutive Club World Cup trophy could be in sight. The Madrid coach said he was not surprised that Al-Ain had reached the final of the tournament, although he did say he had expected Argentina’s River Plate to have made it to the showdown.